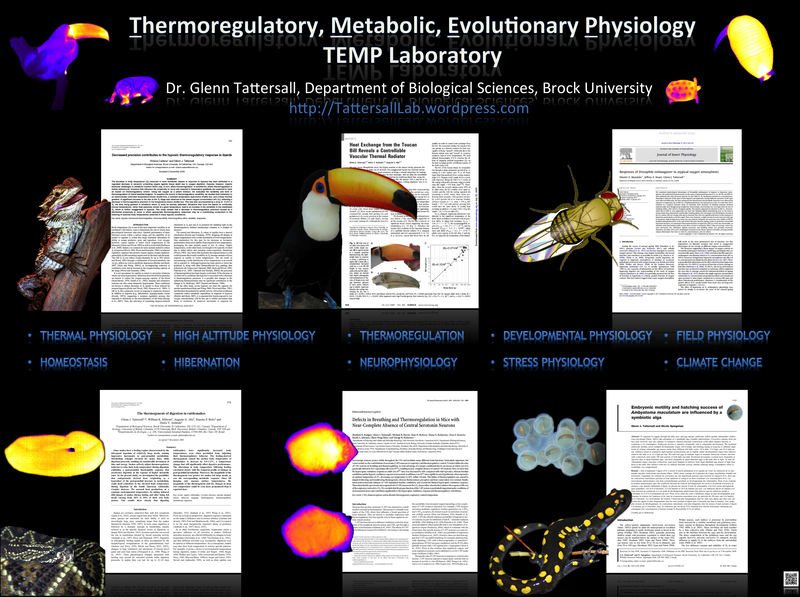 Another advantage to working with organisms is that most biological tissues have emissivities that are close to 1 (i.e. ~0.95-0.98). Unlike many metal objects that are ‘shiny’ and reflect infrared radiation, biological tissues behave in a manner that makes it easier to estimate temperature without having to be too worried about this mathematical correction. Yes, emissivity should be considered, but if you are measuring the same animal over time, the emissivity is not going to change since it is a fixed property of the object. Finally, as biologists, we’re usually reasonably close to our animals so the effects of atmospheric attenuation of the infrared signal will be far less than a volcanologist who wants to stay 1 km away from an erupting volcano! Best to ask the sales reps. Personally, I think that sales reps are making a mint on thermal imaging cameras, and there are so many options out there where a difference of $20k doesn’t seem to make much sense to me (i.e. cameras both have the same specifications in terms of physics and sensing, but one camera is more ergonomically appealing). My advise is to make sure sales reps let you try the camera out, take a picture of yourself at a distance that you might normally use the camera in the field and send it to me if you want my advice. 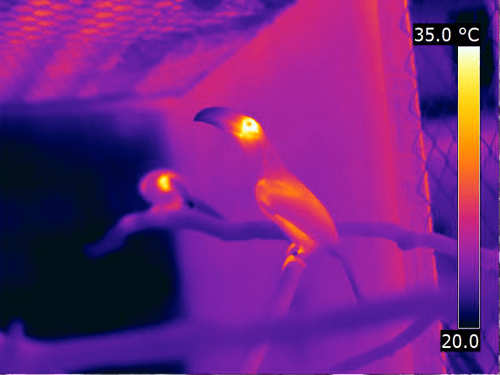 Standard thermal cameras are sold with a default lens with a fixed FOV. Due to the extreme cost of building the infrared transparent lens, it is not often you will see a telephoto lens, and when you can get your hands on one, they typically provide you with an ability to change the telephoto range by 2X or 4X. This is a true optical zoom, so it definitely has an advantage in the field to have a telephoto lens, but it is difficult to find lenses that are adjustable in FOV, so once you put it in place you have to image your environment with the new lens on and cannot quickly go back and forth between the two lenses. Prices of these lenses are incredibly expensive. Usually above $4000, sometimes as high as $10000. I don’t have one for my FLIR. Maybe one day I will. You can’t just put any old telephoto on the camera. Normal digital camera lenses will not work since they are made with normal glass that is transparent to visible light, but absorb infrared radiation. Also, the camera software needs to know what lens is attached as it does influence the focal length and IFOV calculations which influence the estimated pixel temperature and final image. Some companies will rent them to you. You’d have to contact sales reps. Usually rental gets pricey. With a month of renting, you’d be almost able to buy a cheap camera on your own. 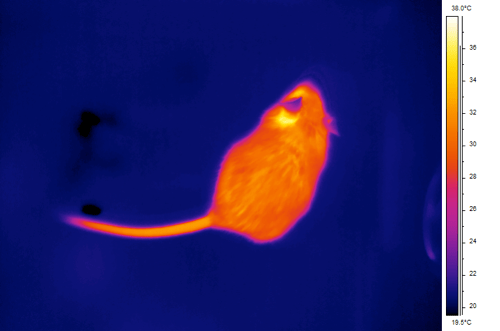 I have often joked that my motto is, “Have thermal camera, will travel”. So far, I have done this a lot and it is fun and intellectually fulfilling. What that really means is that I won’t loan it out, unless it is used by myself or my students/collaborators. Sorry. No. Thermal Cameras cannot view through glass or plastics that are transparent in the visible range. In fact this presents some challenges when trying to use aquaria or image at a zoo. Just because our eyes can see an object, doesn’t mean that the infrared radiation is passing through. You can, however, look into purchasing a IR transparent window of material from certain optics manufacturers. I recently purchased one from a very friendly and helpful company in China. They grew up the germanium tetrachloride crystal, polished and cut it into a 10 cm wide circular window of glass (~4mm thick) and coated it with a material that further helps ensure most IR passes through it. Wow. That’s a long way away. Unfortunately what this solves is the distance required to reach the spatial resolution ability of the thermal imager, and essentially your bird would occupy the equivalent of 1 pixel on the camera’s sensor! So, instead let’s define the spot size represent an object that is 1/40th the size of the object of interest. Practically speaking, the bird would now occupy 40 pixels high which would look like a computer sprite from 1980s video games, but at least some aggregate temperature could be measured and possibly even regional parts of the body surface could be examined. A 640×480 pixel thermal imaging source is an excellent resolution at present, but many of the inexpensive options for thermal imaging provide only 60×60 or 120×120 pixels for the image captured. Since the field of view is determined by the lens, a lower digital resolution captures the same image as a camera with a high resolution, but the final image created is far lower in quality. Thus, if you think back to the bird in the field on a tree, with the 640×480 camera, it might occupy ~40 pixels high at that distance, which at least you can zoom in and analyze on a computer. Not very pretty, but minimally workable. If you had only a 60×60 resolution camera (nice and cheap), the image would be much more pixelated, since there would be approximately 10 fewer pixels per spot area. 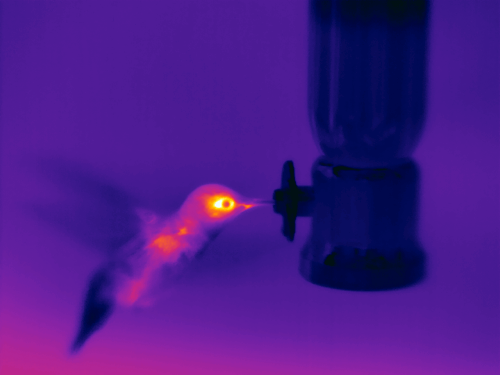 In both cases, you still do not obtain a sharp depiction of the wings, which appear as blurry streams as the wing beat frequency of the hummingbird is not that much slower than the frame capture rate of the thermal camera. Related to the time limits is the challenge of focussing. My thermal camera doesn’t have instantaneous focus, so when objects are moving quickly within the field of view, it is difficult to keep things in focus. Sometimes you have to anticipate where the animal will be and focus on that area and simply move the camera until the bird is in focus. A poorly focussed image isn’t just an inconvenience, but it can affect your temperature estimates, primarily because focusing changes the focal plane and assumptions involved in the estimate of temperature depend on knowledge of the spatial resolution of the image in focus. Time lapse is good if you have access to a tripod and software for capturing images. The typical software that can do this will be ~$5000 from the company. The occasional camera has built in capacity to capture images at intervals, but this is usually very slow when in the field. When capturing time lapse, it is still essential to capture images in appropriate file format. It might be tempting to use the ‘camera’ option that allows you to capture what is really a video (NTSC, PAL). The problem with this is that any temperatures become very difficult to analyze or assess, since this video file is not digitized any longer and pixels in the video do not retain the digitized thermal information required for adequate analysis. To estimate heat loss and thus use the imager to estimate total metabolic expenditure in the field? – requires some time spent investigating physical equations and models to calculate heat loss. To estimate the use of certain parts of the body as thermal windows (vascular thermal radiators). – might only require you estimate the temperature of the surface of interest, along with surfaces that are not expected to change. Usually requires you have a good measurement of air temperature, wind speed, relative humidity, solar radiation. To find animal roosting sites at night – many birders ask me about this. I haven’t actually tried this too much, but it should be possible, provided you have a good idea of where to start and you can get within the minimal distance required to see an individual bird. Use of information above comes with a warning: these are estimates, and ‘ball park’ impressions. Potential users of infrared thermal imaging should always consult with the manual for their particular imager for specific information regarding the use and utility of their camera.